Hivos is a non-governmental organisation, rooted in the Netherlands and guided by humanist values, that wants to contribute to a free, fair and sustainable world where citizens, women and men, have equal access to resources, opportunities and markets and can participate actively and equally in decision-making processes that determine their lives, their society and their future. The organisation is committed to the poor and marginalised – and to the organisations which promote their interests – in countries in the South and in South-East Europe. Sustainable improvement of their situation is the ultimate benchmark for Hivos’s work. An important cornerstone hirer is strengthening of the position of women in society. Hivos most important activity consists in providing financial and political support for local NGO’s Besides offering finance and advice, Hivos is also active in networking, lobbying and in exchanging knowledge and expertise, not only at international level, but also in the Netherlands. Civil society building, economic activity and sustainable production are Hivos’ central policy areas In a European context, Hivos works closely with like-minded development organisations in Alliance 2015. Hivos prefers lobby internationally on issues with public appeal in close co-operation with pre-eminent southern or international partner organisations, or – in the case of the EU-within the Euro step framework. Within the Netherlands, Hivos joins forces with civil society organisations which have expertise in one of its own major policy domains. 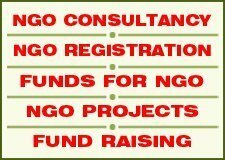 In addition, Hivos works closely with kindred organizations within the framework of the MBN and the South-North Federation. Hivos also supports and participates in a number of special initiatives, such as the North-South Plan, the Hivos Culture Fund and the “Access for all” programme. The North-South Plan, operated jointly by Hivos and Triodes Bank, makes savings available for lending in the South. The Hivos Culture Fund Supports activities in the field of culture and the arts. “Access for all” is a campaign which Hivos has developed to promote the use of information and communication technology (ICT). Hivos’ network embraces approx. 30 countries and over 850 partner organisations. In the course of 2003 Hivos disbursed nearly 67 million euro as grants or loans. These funds were provided by the Dutch government, the EU, donors and savers, and private institutions. Hivos has a total staff of totals approx. 130 Some of the work is done in four regional offices located in Zimbabwe, India, Indonesia and Costa Rica. These regional offices are primarily responsible for contacts with partner organisations, offering them services as advisor, supervisor and coach. 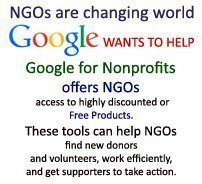 Hivos, the Humanist Institute for Cooperation with Developing Countries (in Dutch: Humanistic Institute voor Ontwikkelingssamenwerking) was set up in 1968 by the Dutch Humanist League, the Vereniging Weezenkas (United Orphans’ Fund) and Humanitas. Hivos has a Management Board, a Supervisory Board and an Advisory Council. Hivos has received ISO certification and the CBF seal of approval. Hivos’ aim is a world in which people are equal and in which no limits are set on people’s opportunities for development. To that end Hivos offers financial and political support for civil organisations (NGOs) and initiatives that share Hivos’ goals. In addition to funding, Hivos is networking, lobbying and sharing knowledge in the international arena as well as in The Netherlands. Hivos relates to a diversity of actors in civil society, and seeks its alliances in different domains (economy, culture, human rights, gender equality and environment) and in different hemispheres. In The Netherlands, in Europe and world-wide it joins forces with like-minded organisations that share the same goals. Hivos is convinced that if people are given a fair chance, they have nearly endless possibilities : Hivos – people unlimited. Hivos core activity is giving financial and political support to civil organisations and initiatives. Hivos other core activities include linking and networking, lobby and knowledge sharing. > Funding : Hivos provides financial resources to organisations world-wide to enable them to carry out their activities and in doing so, achieve their specific objectives as well as the objectives of Hivos. Hivos deals quickly with funding requests, provides long-term and flexible funding, is willing to fund core costs of an organisation and is ready to take risks in funding new, untested initiatives. > Linking and networking : Hivos promotes and supports networking and exchange between organisations world-wide, i.e. between organisations in the South & East, between organisations in South & East and North, and between organisations in the North. As a global actor Hivos is well positioned to promote such networking because of its own international contacts which cross many borders, its specialized sectoral organisation and its Regional Offices, and because it can provide necessary funding for network activities. Hivos stimulates the use of ICTs as a powerful resources for networking and global interaction. > Lobbying : Hivos’ lobbying activities focus on the Dutch government, Dutch decision makers, the Dutch public opinion, the EU, the IFIs and other international organisations. Both at home and abroad, two main domains can be distinguished : lobby in order to reinforce ‘civil society’ positions in international co-operation, and issue-based lobby related to Hivos’ expertise. Hivos’ prefers joining forces with renowned southern and international partner organisations for lobbying internationally. > Education : the Hivos educational activities aim to reinforce the support base for international co-operation, to contribute to public awareness, and to stimulate critical reflection and debate on questions of just and sustainable development world-wide. As far as content is concerned, educational activities usually focus on the same issues as Hivos’ lobby activities. > Knowledge Sharing : Hivos wants to unlock its own knowledge in a more systematic way to the benefit of its broad range of partners, and create a platform where partners themselves (and other interested groups and individuals) can add and exchange information and knowledge and learn from experiences elsewhere. > Hivos is driven by ideals and implements them in a professional and efficient way. > Hivos is inspired by the power of diversity: it recognises the importance and value of a plurality and diversity of actors, approaches and contexts. > Hivos considers itself part of civil society, notwithstanding the predominantly public origin of its funding and the value it attaches to good relations with the Dutch government. > Hivos wants to be open and accountable to its constituencies and to its public and private financiers. > Hivos values the driving force and inspiration of innovation, it creates room for the new and the unknown, and takes calculated risks. > Hivos cares about the quality of its work and its relationships; striving to be a learning organisation it has organised its quality systems, it is eager to realize improvements and it is open to criticism. > Hivos is aware that its performance is key to its existence, and that the people working at and collaborating with Hivos are crucial in creating these results.